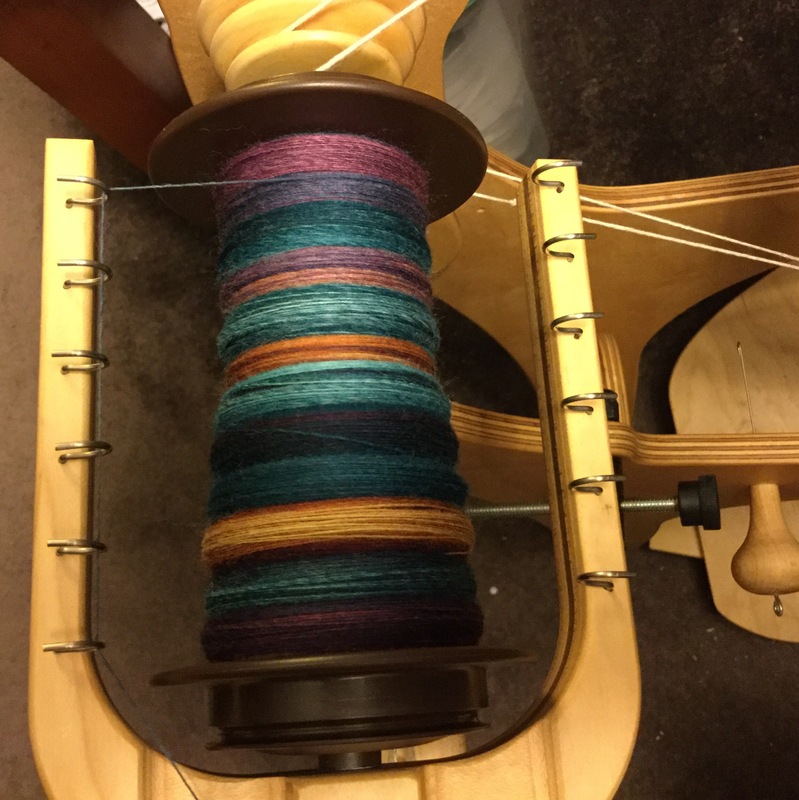 Still at work on the superwash Targhee from Into The Whirled. I love the name of the color way, Herding Cats. The bobbin is starting to fill up.